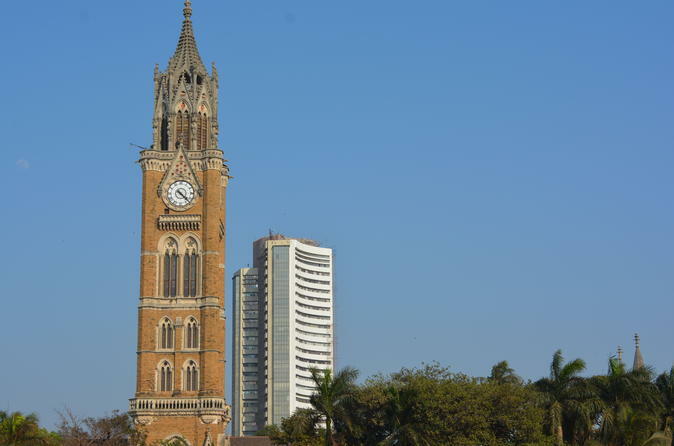 Get to know magical Mumbai, the beating heart and economic engine of India. Disembark your cruise ship in the morning and get a personalized, full day of activity. Explore highlights such as the Gateway of India and Tower of Silence, watch the industry of the Dhobhi Ghat open-air laundry, and choose to add on a walk through the Dharavi slum. Maximize your time and see the best of the Mumbai shore. Tour kann nicht bewertet werden, da Guide nicht am angegebenen Treffpunkt erschienen ist und eine telefonische Kontaktaufnahme nicht möglich war, da das Telefon unter der angegebenen Telefonnummer ausgeschaltet war! The skyline of Mumbai is impressive. The guide also took us to Gandhi house, which we really enjoyed. The Gateway to India was very impressive. The guide was also the driver but managed very well. We were picked up and returned on time. Couldn’t have asked for a better experience in a one day tour. Hakim was knowledgeably and informative. One of our very best tour experience. Our tour guide works for Magical Mumbai Tours and was wonderful at showing us the highlights of Mumbai. Since we had seen much of the city on a pervious visit, he connected us with another guide who leads tours of the Dharavi Slum and we spent two hours with him in the slum. Both guides were wonderful and gave us insight into the working of Dharavi since they live there. What a wonderful gift to spend time with these bright and hard working young men. Guide Sahil and driver Sharuk were wonderful and accommodating! We all absolutely loved this tour. Our guides Shail and Sunny and our driver Nasir were just amazing. Very knowledgable, we learned so much and felt very safe on the tour and during our drive around the city. We would love to go back to Mumbai and would have no hesitation in requesting all these young men again for our future tours. Thank you again. 6 of us did this tour from a cruise ship. It was excellent, the city tour was interesting and we saw all the major sites but the highlight was the Slums tour. Sam our tour guide was exceptional he was knowledgeable, shared stories and had a great sense of humour. The Slums tour was so interesting, learning how the people are so industrious in their recycling businesses was eye opening. The only suggestion we have is, the tour would of been even better if Sam could of been in our van as we traveled through the city. 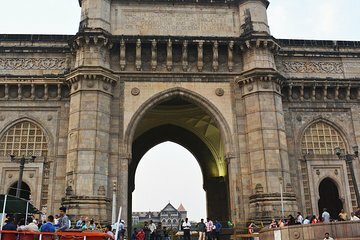 If you are in Mumbai we cannot recommend highly enough the services of Magical Mumbai Tours, great tours and guides at reasonable prices. Highly reliable and such nice people. Could not have asked for a more professional tour guide company whether you are independent or part of a cruise, use these guys, you will not go wrong. Guide picked us up from green gate and we mate him very easily, He was holding a name plate. contact the owner for better communication.